What is a recycling center? A recycling center is a drop off location where you can take all your recyclable waste to be recycle and sent out to be made into something new. A recycling center is an operation certified by the Department to accept empty beverage containers and pay CRV to consumers. Recycling centers are operated by independent businesses, not the State of California. find a recycling center near you so they can dispose of your recyclables in a proper way. Some things like appliances and electronics can also be brought in to be donated if there still working. To find a nearby recycling center or drop-off donation location, just submit your entry. 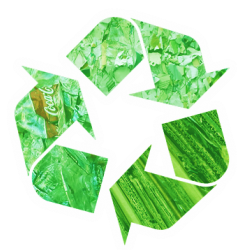 There are approximately 2,000 recycling centers in California. Let us help find the right one for you! Visit our online recycling center locator to find a recycling center nearest you. How can I get beverage container recycling in my business or workplace? For information on beverage container recycling in your business or workplace, please contact us.